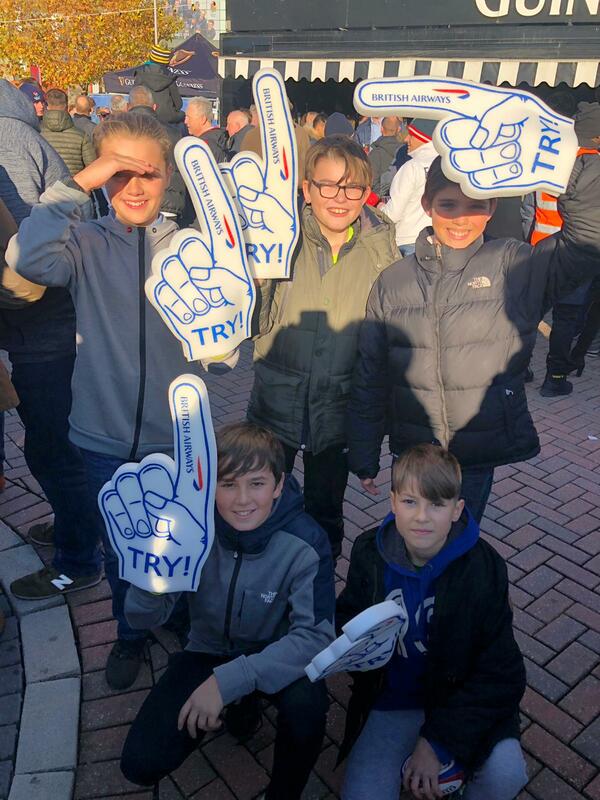 A group of students from both Key Stages 3 and 4 travelled to Twickenham to watch their international rugby heroes test their wits against a highly stubborn Japanese team in England’s penultimate game of the season. During the day the students had the opportunity to explore the club shop and engage in a bit of celebrity spotting as former England and British Lions prop, Alex Corbisiero, was in the fan park area giving his expert opinion on how he thought the game was going to play out. 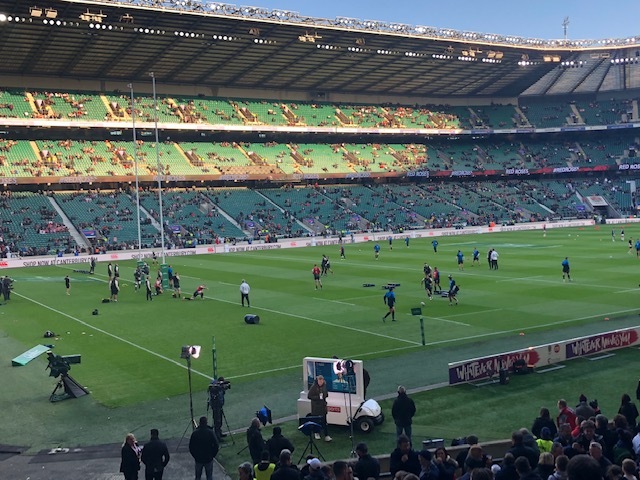 As the game approached, the students made their way to their seats which were a stone’s throw from Will Greenwood, England World Cup centre, and England World Cup coach, Sir Clive Woodward (no relation to Harry, one of our Year 9 students! ), who was in the commentary gantry. The students were treated to an enthralling match of international rugby and, as if that wasn’t enough, were also sat directly in line with the posts where England scored 25 of their points, giving them a fantastic view! 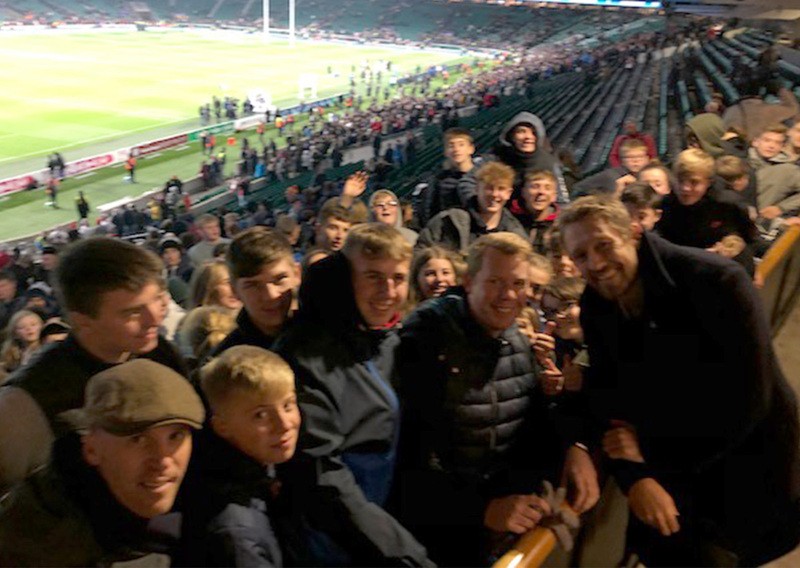 As the final whistle went and the students prepared to leave the stadium, former England poster boy, Jonny Wilkinson, made his way from the Executive Box to meet and greet fans, much to the students’ delight. The former Newcastle Falcon posed for countless photos and shook hands with the students, showing a genuine interest as they talked to him about what rugby clubs they play for and where they go to school. His warm, conscientious personality showed him in a terrific light and provided our students with a really enjoyable experience to top off a day that they will well and truly remember! All the students were a pleasure to take on this trip and were a credit to the Academy. Special thanks go to Mr Power, Miss Lewis and Mrs Shaw for their efforts on the day; their contribution helped to ensure that the day was a rousing success.